So we’ve come to the Grand Final of the Summer Mixed 8-Ball Season. Our Grand Finalists ended up being the top two teams of the minor round season. The Club Wana B’s and The Club Game On Moles. The Grand final will be held at the Community Club starting at 7.30pm on Thursday. Last week saw a magic evening with Becky’s Ball breakers being a formidable opponent to Game On and certainly gave them a run for their money. This team was a first year team to the Summer Competition and can certainly hold their heads up high. The Final score was 5-3. Best of luck to both Grand Final teams, but please remember Umpires are required. Categories: 8-Ball, Human Interest, Millicent, Sport, Wattle Range | Permalink. Thursday night, 6th March, saw Becky’s Ballbreakers have a victory over the Sommery Suns with a 5-4 win. The evening was a pleasant time and the games required all the players to use all there guiles to take the evening to the last game. Next week Club Wanna B’s will take on Club Game On at the Somerset, please remember we always need umpires. 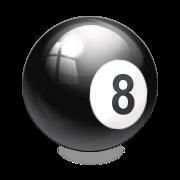 Categories: 8-Ball, Community Groups, General News, Human Interest, Location, Millicent, Sport, Wattle Range | Permalink. Next Thursday is the last Minor round game for the season and the first Semi final a week after. The Final four has been decided with this weeks’ games. So this is the way the games play with Wanna B’s v Game On, Bruisers v Pooh Baas and Suns take on Becky’s Ballbreakers. Best of luck to you all. Categories: 8-Ball, Community Groups, Location, Millicent, Sport, Wattle Range | Permalink.